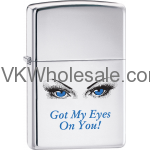 Minimum quantity for "Zippo Classic Got My Eyes On You High Polish Chrome Windproof Lighter Z264" is 1. Minimum quantity for "Zippo Classic Got My Eyes On You High Polish Chrome Z264" is 1. 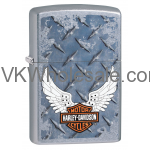 Minimum quantity for "Zippo Classic Harley Davidson Eagle Brushed Chrome Z240 Lighter" is 1. 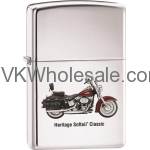 Minimum quantity for "Zippo Classic Harley Davidson Heritage High Polish Chrome Z241 Lighter" is 1. 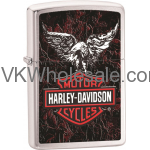 Minimum quantity for "Zippo Classic Harley Davidson Street Chrome Z340" is 1. 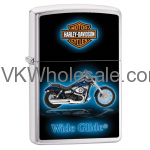 Minimum quantity for "Zippo Classic Harley Davidson Wide Glide Brushed Chrome Z651" is 1. 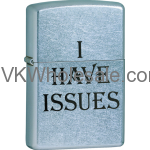 Minimum quantity for "Zippo Classic I Have Issues Street Chrome Z273" is 1. Minimum quantity for "Zippo Classic Jack Daniel's Black Matte Lighter Z330" is 1. 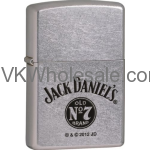 Minimum quantity for "Zippo Classic Jack Daniels Old No.7 Brand Street Chrome Z230" is 1. 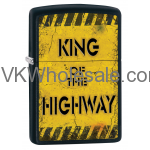 Minimum quantity for "Zippo Classic King Of The Highway Black Matte Z285" is 1. 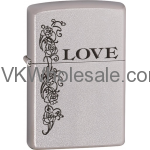 Minimum quantity for "Zippo Classic Love Inspiration Satin Chrome Z250" is 1.